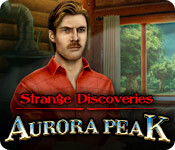 Uncover the secrets of a picturesque mountain resort in Strange Discoveries: Aurora Peak! The town of Aurora Peak was a wonderful place when you were growing up – the locals were friendly, and the mountain was peaceful and inviting. Things have changed since you were kid. When you come back to town years later, you see that an ominous cloud hangs over the mountain, and plants and animals in the area have started to… change. It seems to be natural phenomenon connected to some strange local crystals. But the devious plot you start to uncover could endanger the entire world! 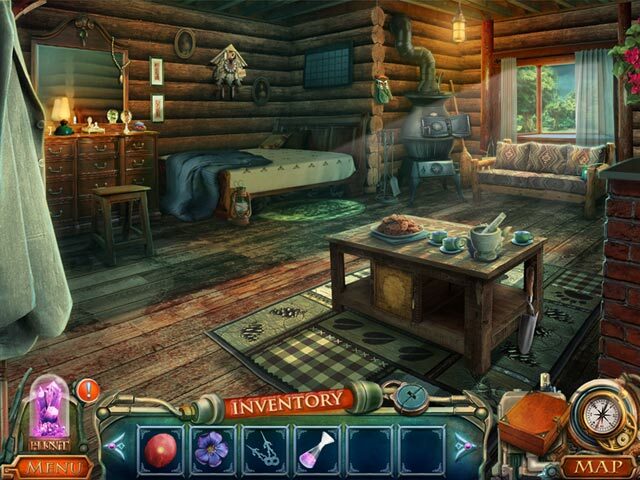 Discover the truth behind Aurora Peak’s deadly secret in this thrilling Hidden Object Adventure game! Strange Discoveries: Aurora Peak is rated 4.1 out of 5 by 20. Rated 5 out of 5 by Jeanssister from Aurora Peak I liked this game. It is a good game. I liked the ending. 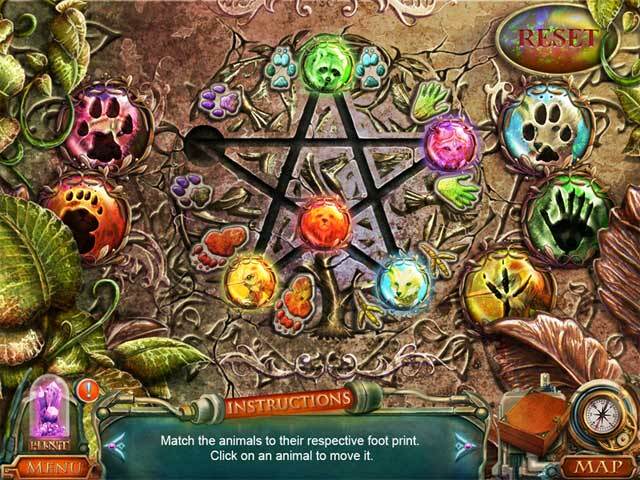 I liked the hidden object games. Rated 5 out of 5 by tutortime from Loved it! Beautiful game. It seemed a little short to me, but was worth the money and I enjoyed playing it. Rated 5 out of 5 by swissuz from Fun Change of Pace I was very surprised I LOVED this game. I think the writers did an excellent job of playing out the plot. It had some fantastical elements that kept it interesting, but it had the feel good quality of being the "hero" and helping some of the people without a lot of overly dramatic dialogue. The artwork is good, the games were challenging enough, In spite of it not having spectacular artwork and music, I didn't want it to end. Goes to show that a story line can carry a game! Rated 5 out of 5 by SexySqueaks from Beautiful Super Enjoyable Game! Games like this one is why I am so impressed with Big Fish Games and chose Big Fish membership and Game Club! This game is full with all the things I enjoy in games. The music,really beautiful graphics, map, Hidden Objects, and all kinds of mini games that are VARIED! Many times I will buy a game for their type of mini games and with this game, I can enjoy many different kinds. This game is about a medium in difficulty which I find enjoyable and know I can play without frustration and quit playing. I think everyone will enjoy this one, I think it;s a winner! Rated 5 out of 5 by katnap123 from A beautiful game to play This game had me from the moment I first started to play the demo. The graphics are beautiful with lots of color. The story is integrated into the game play nicely. The mini-games, for the most part, are fun and original. The HOS are varied and balanced well with game play. The only downside that I can find, so far, is the hint system. It doesn't work well: It's vague and if it directs you to leave the scene, then it needs to recharge. However, the map is totally integrated, and the game is easy enough that the hint system doesn't need to be involved. I've really enjoyed playing this game. I finished the demo at the end of chapter 2. Now I need to purchase this game because the last hour just flew by. Rated 5 out of 5 by pennmom36 from SOMETHING IS STRANGE AT AURORA PEAK! Your Grandpa founded a Resort called Aurora Peak, a beautiful place to share with the world. After his passing you and your brother have intentions of restoring Aurora Peak but strange glowing crystals are everywhere and the animals and plants have mutated, they have transformed into beautiful glowing cross species. Your brother Alan has sent for you a geologist now, and when you arrive you discover his helicopter has crashed and a man in a hazmat suit has dragged him away and placed him in a cage! If you love colorful crisp graphics you will go bonkers over this game because the flora and fauna are stunningly beautiful, with changing colors and trees that actually breathe. 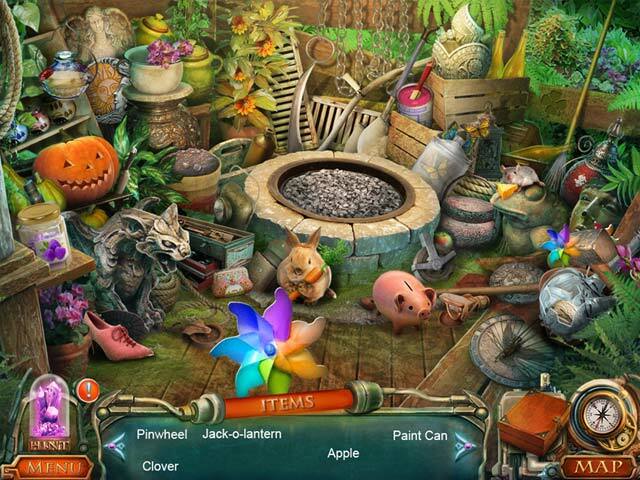 The hidden object scenes are varied between interactive list finds, putting existing inventory items back where they belong and finding the item that matches the silhouetted shape. I liked the mini games as well, especially the one where you had to click different vines surrounding a baby bear cub to release him to get to mama bear but some paths are blocked by stone and vines. I think you will agree this is a great SE and a game well worth the purchase, enjoy! Rated 4 out of 5 by Yanie1020 from Good Four-Star Game Because of the short length and the poor quality of the actors, I had to subtract a star. Only one voice over had any emotion in the voice. The story was also weak, but I usually don't rate games based on the story because they're all pretty much the same. Graphics and scenery were very nice. Music wasn't annoying. Some different puzzles that were fun. HOS's were just ok. A couple of small technical glitches but I was able to play through them and didn't have to restart. I think most people will have a good time with this game, so I'm recommending it. Rated 4 out of 5 by MercuryNeptune from Fun game, but short This is one of those games I liked, but it was rather short. I don't think it is a five star game because of this. The object of the game is for the heroine to save her brother and figure out what is going on with the mystery crystals. The answer is obvious, but the HOG and mini games make up for it. This game might be a bit too easy for some, but if you just like to enjoy games it is a good get. I just wish it was a bit longer. Rated 4 out of 5 by denniann2 from great game i had to cheat a few times. it is not that hard but i just couldn't figure out a few things. hint/skip take a minute to a minute to charge. there is a diary and map that shows objectives and places you need to go and will let you jump there. it is about a detective called in to find a woman and he has to discover all kinds of things. it is about crystals. i played casual, low sound. sequel, oh i think so. Rated 4 out of 5 by neilskinut from good game with great graphics Now this one is a good well put together game. Looks more like an adventure game than HO game. I did not get too many HOS or puzzles but still was a good game. The graphics are crisp and beautiful scenery. Music is nice to listen to and has voice over. 3 modes of play. Has a map and hint button works good if needed. You do not get achievements or morphine's to find in the SE.. There are Flowers and birds to see and you have to find them. Really good storyline what is reveled at the beginning of the game. You've arrived in the peaceful resort town of Aurora Peak to investigate some mysterious local crystals. But the devious plot you uncover there could endanger the entire world!